We are a well-established company, working from our manufacturing base in East Manchester. Our major specialisation is in lighting diffusers, in particular for local authority use, but we also offer trade moulding services to a broad spread of industries ranging from pool manufactures to coach building companies. All our products are produced on a bespoke or batch-production basis. We have the ability to work in polycarbonates, acrylics, abs, styrene and most current plastic materials, including clear plastics. Our machinery can accommodate vac forming up to 6ft x 7ft. We currently produce components for vehicle interiors, including trim and paneling, domes for advanced playgrounds, display cases for museums and clear formings for point of sale material and aquatics. 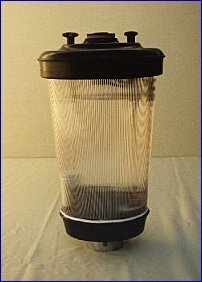 We manufacture a large number of moulded items for the lighting industry. 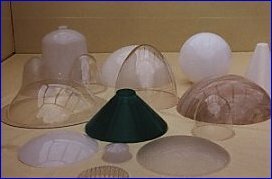 We supply low and high bay lighting diffusers, circular slim line dishes for low energy fittings, domes to 1500 mm diameter (opal & clear), street replacement diffusers (both obsolete and current for most major manufacturers) tear drops and glazing boxes for traditional lanterns and modular drop dishes.